The schedule for this Spring’s regional qualifiers for the African Championship have been adjusted. Instead of four regional tournaments now there will be only three. Tournament dates will be March 22 to 24 in Ghana, April 5 to 7 in Kenya and April 23 to 26 in South Africa. The top two of the Ghana tournament as well as the winners from Kenya and South Africa will qualify for the African Championship in South Africa – to be played in May. 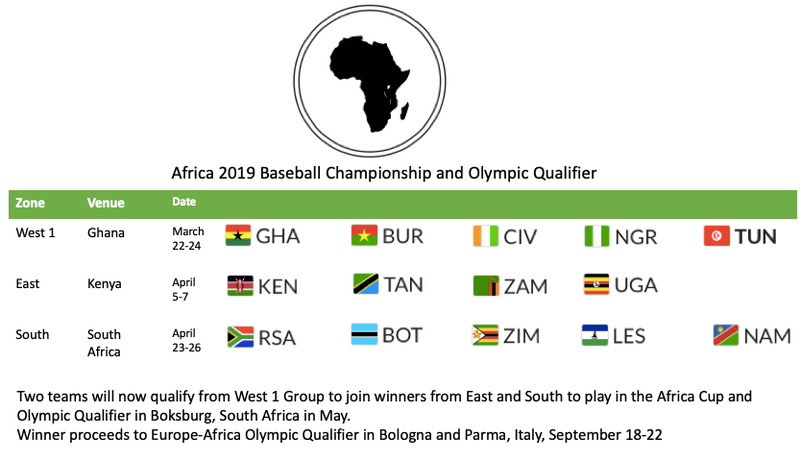 The winner advances to the Europa-Africa Olympic Qualifier in Bologna and Parma, Italy (September 18 to 22) meeting the top five of the European Championship.